Located in the heart of downtown Pittsburghs cultural and business districts, the Fairmont PGH is centrally located to theater and performances, globally respected corporations and small businesses, champion sports teams and a city rich in history and character. Pittsburgh is an extremely walkable city, and public transportation is also available. Fairmont Pittsburgh is adjacent to Market Square, and cobblestone area filled with restaurants and businesses. Fairmont Pittsburgh is in the middle of the business, financial district, allowing easy access to the citys business offices and headquarters. 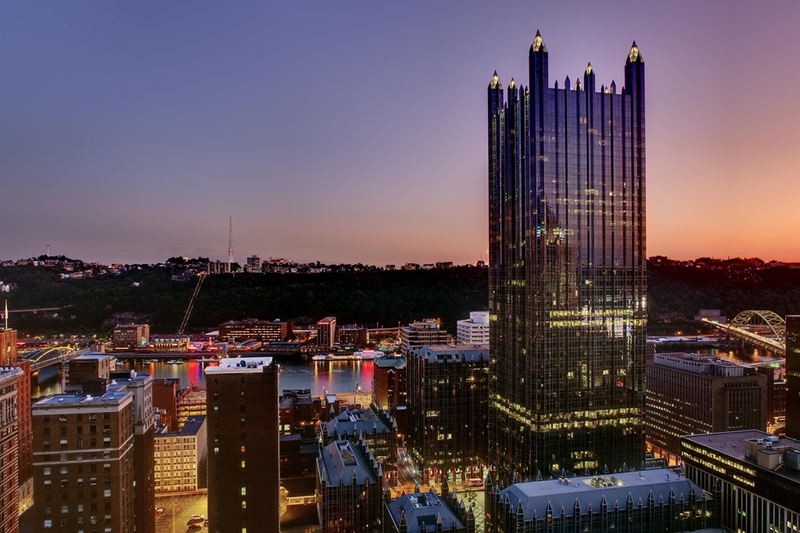 Fairmont Pittsburgh is at the doorstep of the Cultural District, with world-class theaters, the Pittsburgh Opera, the Pittsburgh Symphony Orchestra, the Pittsburgh Ballet Theater, and numerous art galleries lining the streets. Diverse fine dining choices also abound. Outside of the immediate downtown area, Pittsburgh is a city of neighborhoods, each one with its own discernible character and pace. The growing businesses, fine dining, unique shops and friendly faces extend into the greater Pittsburgh area. Benedum CenterThe Benedum Center for the Performing Arts a Pittsburgh Cultural Trust theater is a focal point of Pittsburgh's Cultural District. Byham Theatre3 Minute walk from hotel - Byham Theater is home to a wide variety of performing arts, including dance, music, theater, film, and family-friendly events held throughout the year.